Based on Dungeons & Dragons ruleset, one of the most popular cRPG (computer role-playing game) franchises of all time, Baldur's Gate was relaunched several years ago after developer Overhaul Games, a division of Beamdog, added higher resolution and widescreen modes to enhance gameplay. The enhanced version of the second game in the series, Baldur's Gate II is now on sale in the Google Play Store, but only for a limited time. The game is usually available for purchase for $10, but for the next week or so, RPG fans can get it for just $2, which is a great price considering the amount of content the game has to offer. 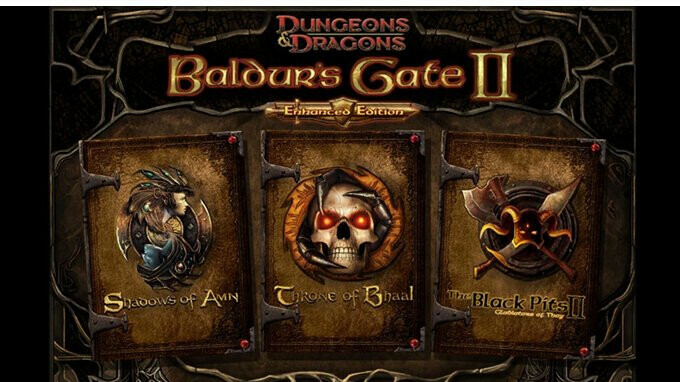 Baldur's Gate II: Enhanced Edition includes the original Shadows of Amn campaign, but also three expansions: Throne of Bhaal, Fist of the Faller, The Black Pits II. Additionally, if you like the game, you can purchase extra content, which are separate adventures meant to prolong your stay in Faerun. This version of the game has been specially developed for mobile devices, so you shouldn't have any issue with the controls or the overall gameplay experience. For two bucks, this game will keep you entertained for months to come. The most complex game for any mobile OS. Best RPG so far, I just downloaded siege of dragonspear. How playable is this on a screen the size of a Pixel XL? I'd like to get it but I do know that this was originally designed for tablet sized screens. It is turn based, but still on such a small screen, it will be a pain to play.